MBI offers remanufactured rounds that have top tier components in them, including name brand primers, powders and projectiles. The quality of the ammunition on the market by MBI is very high. 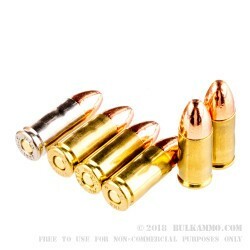 They have built an excellent reputation for providing reliable, safe ammunition at a sometimes steep discount to available cartridges. 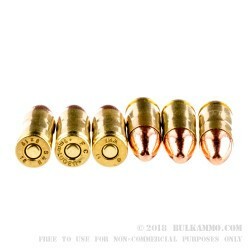 Military Ballistics Industries is a U.S. based reloader that offers commercial remanufactures like the 147 grain full metal jacket load that is featured here. The powder and primers and projectiles are sourced from a variety of manufacturers including Winchester, Speer, Hodgdon, CCI and other top quality manufacturers. As a lower priced alternative to some new ammunition and competitor remanufactured loads, MBI gives a quality product that utilizes costs saving measures like plastic bulk bagging instead of printed cardboard and trays to market their ammunition, so they don’t have to cut corners on the components they include in the remanufacturing process. Most shooters can get behind a company that takes quality and value proposition that seriously, and that is a big reason why MBI has enjoyed such a good reputation in the shooting market. Q: OK, it's subsonic. What is the rated fps. A: Hi Daniel! MBI lists this as having a muzzle velocity of 930 FPS.